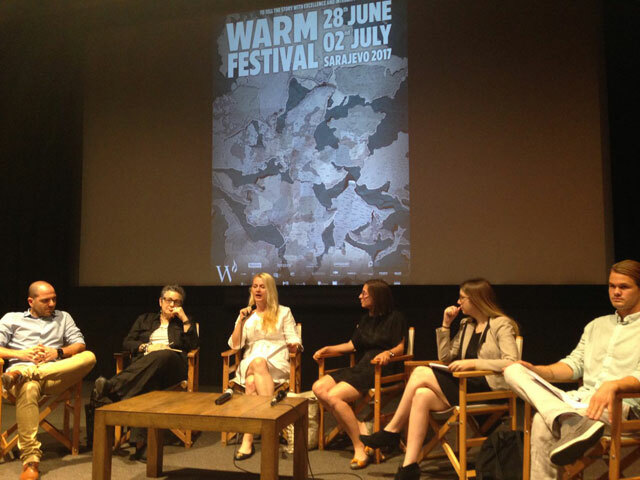 The implementation of transitional justice mechanisms represents the only way to secure stability and respect for human rights in Bosnia and Herzegovina and in other places around the world, concluded participants in a panel discussion held as part of the WARM Festival in Sarajevo on June 29. The discussion on ‘Conventional and unconventional approaches to transitional justice’ dealt with lessons from the Balkan region and their implementation in areas throughout the world where attempts are being made to deal with the consequences of conflicts. Denis Dzidic, editor at the Balkan Investigative Reporting Network Bosnia and Herzegovivna, said Bosnia’s biggest failure was in the field of compensation for victims, adding that there was also still no law governing the rights of torture victims. “We, in Bosnia and Herzegovina and the region, have never gone through an institutional reform,” Dzidic said, adding that the country’s Transitional Justice Strategy was an excellent document, but it had not been implemented. Tanya Domi of Columbia University in New York said the key issue was how to involve victims in reconciliation processes, how to give them a voice and ensure that they are satisfied with the process of justice. Myles Wallingford of the Post-Conflict Research Center said his organisation focused on making sure that victims have access to justice and that it uses multimedia projects for memoralisation processes. Samantha Owens of the Art Works Projects Chicago said her project attempted to expand the lessons learned in Bosnia, Congo and Columbia to the United States, where the racial gap was getting more pronounced. Speaking on behalf of the Sarajevo Film Festival, Masa Markovic said that last year’s festival presented a programme on ‘Coming to terms with the past’. She said she wanted films from the region that cover conflict-related topics to reach a broader audience.